If you thought the Monsanto Protection Act was bad, wait until you hear about big biotech’s plans to permanently silence their critics in a state-by-state battle that strips local democratic decision making and puts America’s farmers, their seed supply and local agriculture at risk. Some thought that the Monsanto Protection Act would only last 6 months, but at Food Democracy Now we know the real problem is that this is a part of a larger effort by the biotech seed and chemical giants to permanently and legally protect their flawed GMO products. Late last Thursday afternoon in the Oregon legislature, a dangerous bill, SB 633, passed out of the Rural Communities and Economic Development committee by a vote of 3 to 2. If SB 633 – which is being called Oregon’s Monsanto Protection Act – passes the legislature, it will permanently strip Oregon’s farmers and citizens of the right to make local agricultural decisions that protect area farmers, local economies and organic seed production. Known as a seed preemption bill, Oregon’s Monsanto Protection Act seeks to protect big biotech interests in Oregon. The region of Rogue Valley in Jackson County, a crown jewel of organic, non-GMO and heritage seed production, is being put at risk of permanent genetic pollution should this bill pass. The stakes couldn’t be higher! Monsanto and the biotech industry are desperate to stop a farmer and citizen-led ballot initiative in Jackson County, Oregon that would ban the growing of genetically engineered crops in that county. Local farmers and residents have sought a ballot initiative to protect local organic and conventional, non-GMO farmers and their seed supply from being contaminated by Monsanto’s GMO pollen. Already, Monsanto’s lobbyists are crawling through the Oregon capital trying to round up votes before the truth can come out publicly that they’re working overtime to undermine America’s basic democratic rights once again. But we won’t let them get away with it. Ominously, the Monsanto Protection Act, Section 735 of the continuing resolution, H.R. 933, that passed last month in Washington DC and prompted endless controversy is now being cited as supporting evidence for the Oregon seed preemption bill. In an email to an Oregon constituent from Senator Arnie Roblan (D-Coos Bay) the bill’s chief sponsor and chair of the committee that the bill just passed out of, makes clear he’s doing the bidding of Monsanto and the biotech seed industry. “With this background information in mind, and given that the DA promulgated rules through the APHIS, does the CFCAA, 2013, H.B. 933 § 735, impact a State’s ability to regulate GMOs? In essence, one reviewer of the act noted that ‘Even if the courts find that a (genetically engineered) crop shouldn’t be planted until more research is done about its safety, no one could stop that crop from being planted, even temporarily’ because Federal Law supersedes state law and most definitely, local Ordinance,” wrote Roblan’s office. Under current Oregon law, local citizens have the right to make democratic decisions concerning local agricultural practices through ballot initiatives. And Oregon’s Monsanto Protection Act is seen as another corporate handout to agribusiness to protect biotech seed and chemical monopolies like Monsanto, DuPont and Syngenta from the growing number of American farmers and citizens who have become concerned about the flaws of genetically engineered crops and outraged over the undemocratic lobbying practices that these giant multinational companies use to deceptively garner growth in the marketplace at the expense of human and environmental health and farmers’ livelihoods. Last month, because more than 300,000 Food Democracy Now! members stood strong against Monsanto, we have forced one U.S. Senator to publicly apologize, and the hometown paper of Senator Roy Blunt (R-MO), the alleged man behind the original Monsanto Protection Act, issued a blistering editorial against him and members of Congress. 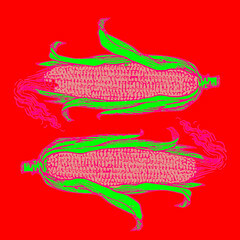 Join us May 25, 2013 at the Colorado state capitol building, to stand in solidarity in protest with our global neighbors against the monopoly of our food supply. It is time to take back our food!